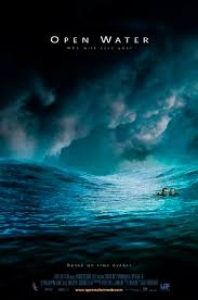 Open Water was one of the worst movies I have ever seen. When I first started the movie, I thought, “Oh, well maybe this is one of those movies that has a good storyline, but just a low budget”. It didn’t have a good story line either. The acting was bad, and the picture quality was terrible. I kept waiting for the movie to get better, but it just didn’t. The movie says it is based on real events. This movie involves a young couple being left out in the open water for more than a day. movie, both of them die, and are eaten by sharks. No one really knows how long it took for that to happens. the movie, I was very disappointed. I wasn’t just disappointed in the movie, I was disapointed that I wasted my time watching the movie. So, as you have probably guessed by this point, I do not recommend buying or renting this movie.